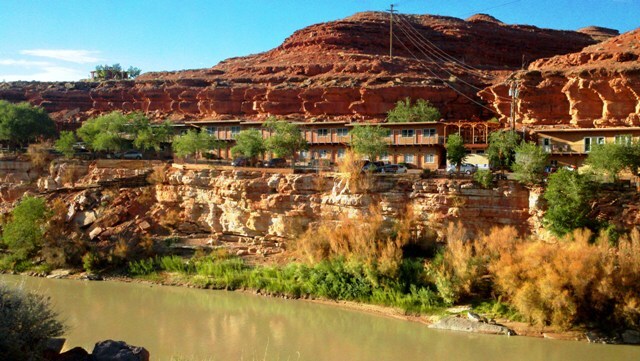 The San Juan Inn is neatly nestled between a majestic red rock cliff, and the San Juan River. 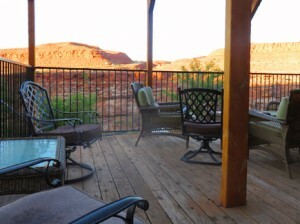 Only 20 Miles from Monument Valley, this is a hotel with astonishing views. For a unique experience in the desert of Utah and the comfort of moving water, this is as tranquil as it gets. Monument Valley May be the Main Attraction in the Area but there are many Hidden Gems to explore within a few Miles of the San Juan Inn such as the Goosenecks State Park, Bears Ears, Cedar Mesa, Natural Bridges National Monument, Comb Ridge, The San Juan River, Valley of the Gods, Moki Dugway and More. 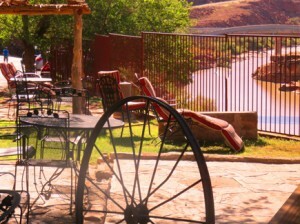 The trickle and flow of the river from below the canyon wall, and the gentle breeze making the shaded temps reach perfection as you sip on a cold refreshment and take in the red rock views. 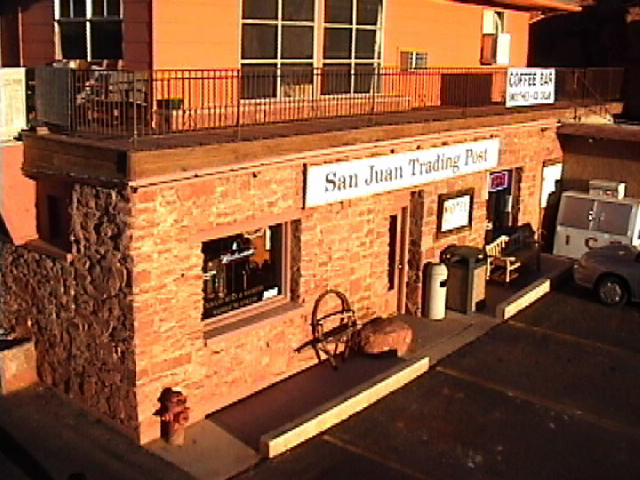 An experience unlike any other and unique to the San Juan Inn. You won’t stay here for the room, you’ll stay here for the views. With plenty of outdoor seating overlooking the San Juan River, there’s the perfect seat just waiting for you. Stretch those legs before your next journey with a short stroll down to the river or around the cliffs nearby. Around every corner in our area is another sight to behold. Our region offers great weather most of the year perfect for watching the river ease on by. 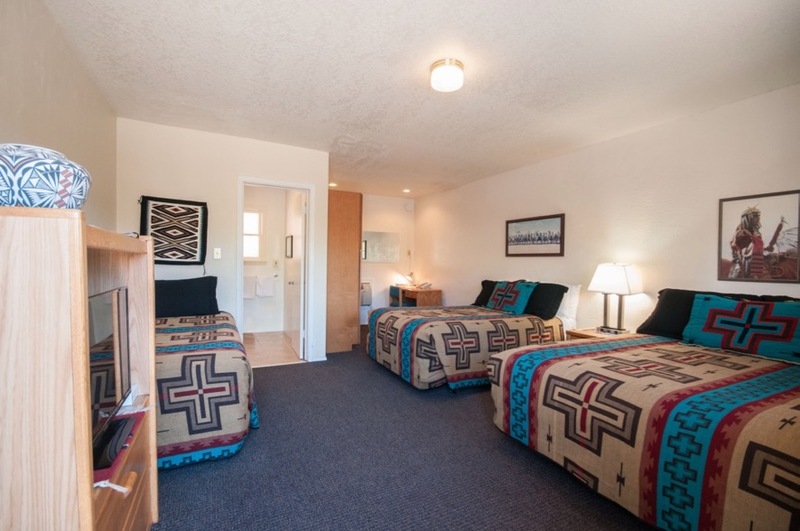 With a variety of room configurations we have options to suit your needs. Great for groups, couples, singles and even pets. 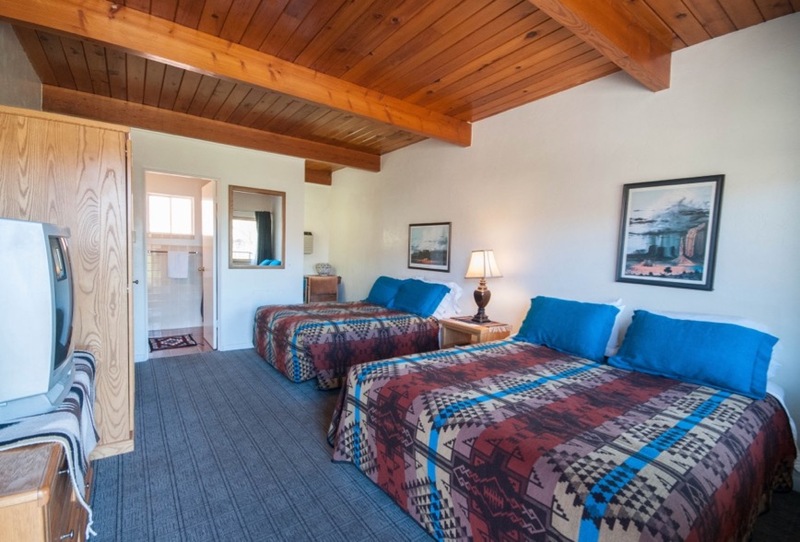 We have two floors, easy access on the first floor with parking right outside your room, and spectacular views from your window on the second floor. Select the option best for you. Looking for a unique experience? 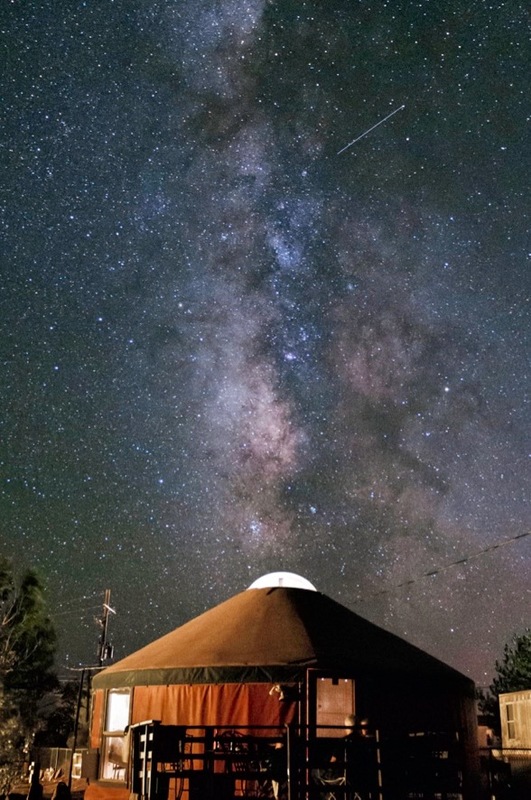 We have a few yurts to choose from a short distance away from our main property. Our yurts offer all the convenience of a regular room such as plumbing, bathrooms, and air conditioning yet with more of a “glamping” or outdoorsy experience. Each yurt has a comfortable patio setting at the top of the town. 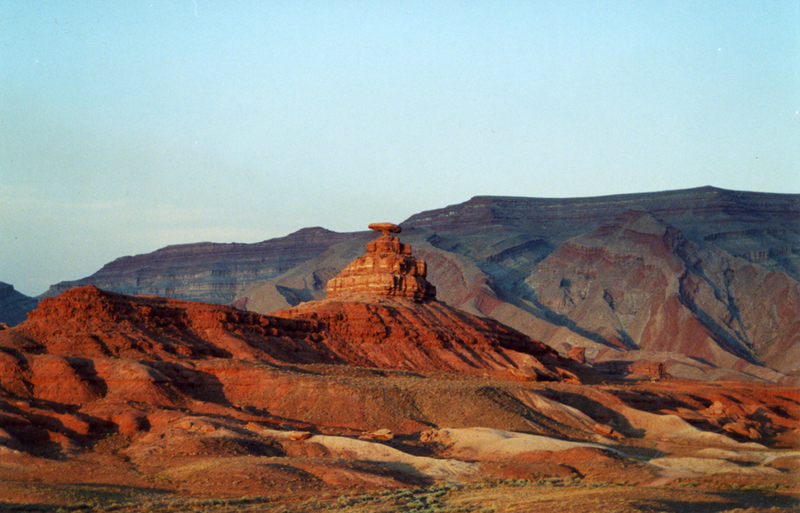 It seems we’ve you’ve hit the jackpot because Mexican Hat, UT is little known, remote and unspoiled. It’s like the epicenter of hidden treasures in the form of geologic landmarks, national parks, state parks and otherwise un-discovered natural monuments. Come explore, leave enchanted. 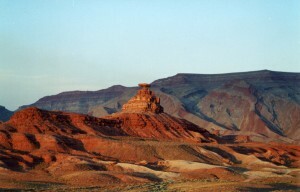 Mexican Hat, UT is a remote location far from any major metropolis. We go to great lengths to make sure your stay is as comfortable as possible. 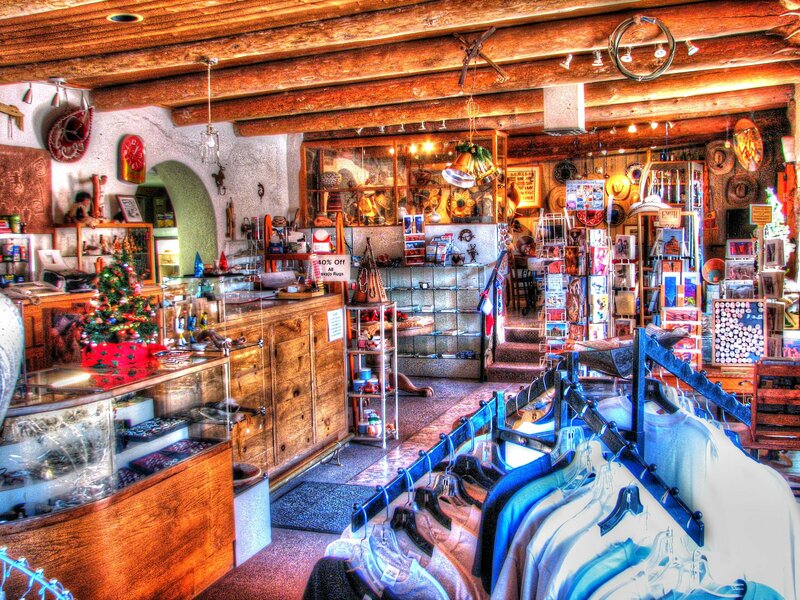 We have a fully stocked store, restaurant on premises, an exercise room, and access to the San Juan River. Stock up on essentials or buy unique gifts and souvenirs.